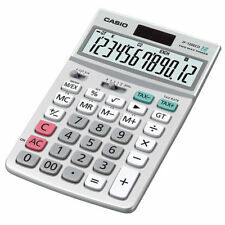 Casio MS100TER Solar 10-Digit. Double Zero Key "00" - for easy use when calculating larger numbers. 10-Digits Extra Large Angled LCD Display for easy veiwing. Key for changing Plus/Minus Sign. Key Rollover. 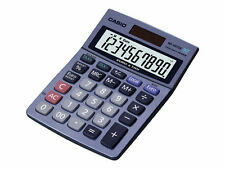 Casio FX-CG50 Graphical Calculator. Full working condition, no blemishes, comes with case and data transfer cables (USB and aux jack cables). Dispatched with Royal Mail 1st Class. · Works with any currency. Instant conversion. 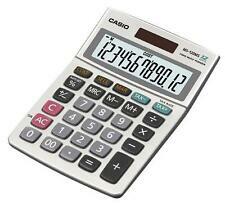 Full calculator functions. Rubberized edges for a good grip. I always try and list as honestly as possible. Free carriage in the. Easy to use. The Aurora DT401 is built for durability and reliability. the huge 12 digit LCD display features extra large. Mark Up key – for Gross Profit. Huge adjustable 12 digit display. features include the 'Currency Conversion' function. 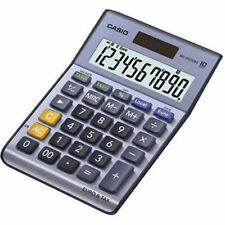 Casio scientific Calculator fx-910. 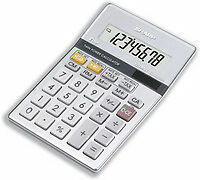 Sharp EL-6052 Calculator & Handheld Pocket Personal Organiser Combo. Key Rollover. Two Way Power. Orders Not Received. Argos will then notify you when your order is ready for collection. Product Information. Dual Powered / Solar and Battery. Currency Conversions. Angled Large 8 Digit Display. Function Command Signs. Sign Change Key. Auto power off. Argos will then notify you when your order is ready for collection. 8 digit display. Dual Power. Function Command Sign. Argos will then notify you when your order is ready for collection. Product Information. Extra Large display. 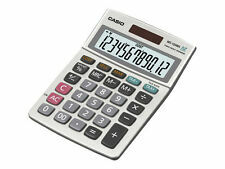 Casio HR-150RCE Printing Calculator Ex-Display This Casio HR-150RCE Printing Calculator is a 12 digit medium duty calculator with a stylish design. It has lots of features with a fast quiet 2 lines per second print speed. It is perfect for the office, home office or business use with useful functions such as cost, sell and margin, tax keys and a useful currency conversion. There is a check and correct function which allows you to recall and correct options for the last 150 operations. After Print Function allows you the option to print calculation after all operations are entered to a maximum of 150 steps. 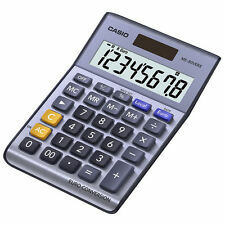 The Re Print Functions allows you the option to print a calculation as often as desired. 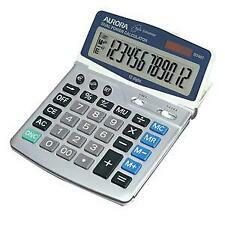 Aurora ecocalc 12-digit desk top calculator. Item model number: EC505. 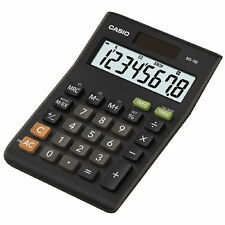 Professional / Desk Display Calculator. Large LCD display. Solar powered with battery back up. Product Details & Features. 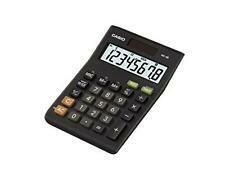 Professional / Desk Display Calculator. Large none stick plastic keys. A 12 digit display full size desk with casing made from recycled plastic. Solar Energy Driven. 3 Digit Comma Markers. Two Way Power. ALSO COLLECTION IS NOT AVAILABLE. SPEAKERS ARE SOLD WITH ONE YEARS WARRANTY. Key for changing plus/minus sign. Dual Powered. Extra Large Display. Fuction command signs. 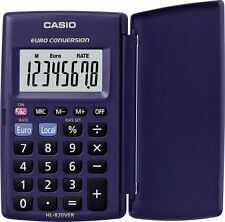 In addition to the usual functions, it also boasts a programmable currency converter to make fast and simple calculations. Model DT401. Gross Profit Yes. Colour Silver / Grey. Double Zero Key Yes. Rainforest Alliance (Y/N) No. 3 Digit Comma Markers. Key for changing plus/minus sign. Two Way Power. Orders Not Received. Argos will then notify you when your order is ready for collection. Key Rollover. Item model number: DT661. Product Details & Features. 8 digit display. Dual Power. ALSO COLLECTION IS NOT AVAILABLE. Function Command Sign. SPEAKERS ARE SOLD WITH ONE YEARS WARRANTY. Manufacturer warranty2 years. Manufacturer's partMS-8B. This new model replaces the Casio MS-80VER. 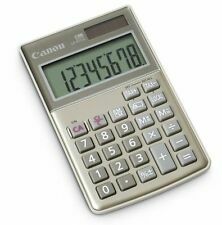 Professional / Desk Display Calculator. Large clear 8 digit angled display for ease of use. Dual powered (solar with battery backup). Nice new brushed aluminium finish. Add To Favorites. Non-Faulty Goods. All goods are new unless stated otherwise. Faulty Goods. All in good used condition with minor marks from previous use. 3 digit comma markers. Function command indicator. 3 key Mark up function Command sign 4 constants. Argos will then notify you when your order is ready for collection. Auto power off. Solar/battery power sources. 12 digits displayed. 8 digit display. Storage And Handling. Featured Categories. Angled best view display. Solar and battery power. Sound Systems. Walking Aids. Living Aids. 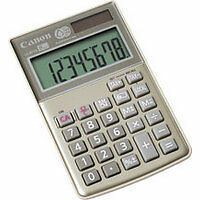 This calculator features 2-way power with both battery and solar cells for efficient power use. The plastic keys are robust and include a key rollover function, making it possible to press down the next key whilst still holding the current one so doing any calculation is faster and more efficient. 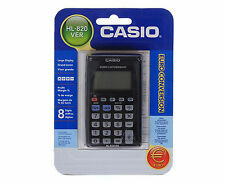 Casio HL-820VER calculator. Compact Battery Operated Currency Converter.